Greetings! Guess what I’m posting about again? 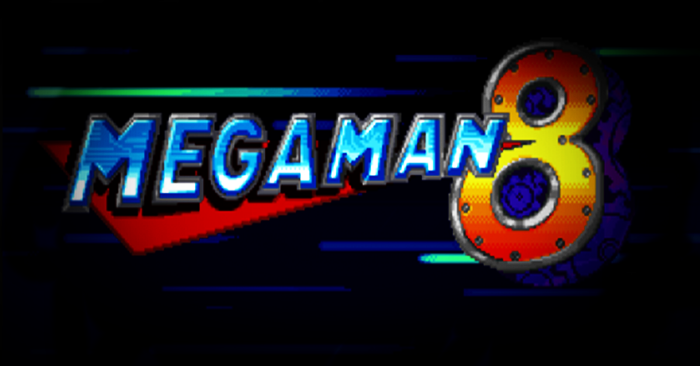 you obviously know already- another Mega Man game, it’s clearly the title of this blogpost (scoffs). It’s already late in the evening right now and I just have time to idle in my room then I remembered… I still have lots of videos and games that I haven’t written about yet. So, here I am, writing another post and it’s another Mega Man game. I must say in advance… I know I’m just starting to write but this a big leap of the Mega Man franchise, I mean- I liked how they made Mega Man’s output so cool and they added voice effects. I know I’ve written few of the Mega Man games I’ve played. And I’m still writing more about it. Gosh, I’m such a fanboy (too obvious). The starting plot of this game was when there are two mysterious beings who are having a duel in space. After they clashed, the powerful beings are falling down to Earth. The impact of those powerful beings was noticed by Dr. Light and have asked Mega Man to investigate the area, as soon as he arrived to the destination, Dr. Wily was already in his pod carrying a purple orb. As soon as Mega Man reacts to chase Wily he saw a mysterious robot injured. 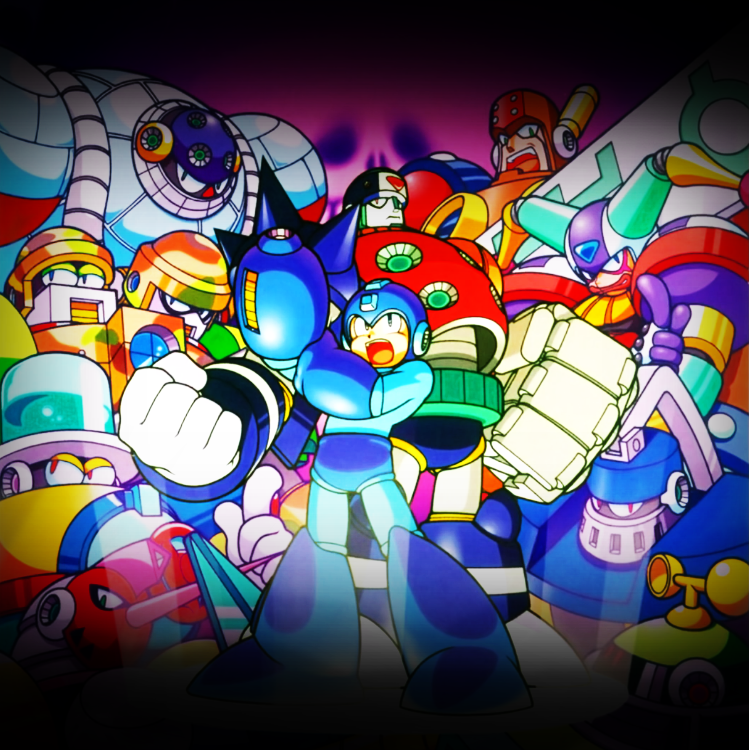 While the injured robot is being treated by Dr. Light, Mega Man proceeds to stop Wily and his evil plans, after defeating the first batch of robot masters, the injured robot became conscious and had seen the purple energy at his sight, he got enraged and smashed the orb that Mega Man got every time he defeated a robot master, still mysterious the robot flew out of Dr. Light’s lab. Later on, the robot introduced himself as Duo and explained what the evil purple energy is and his mission to eradicate before it could engulf the universe. The two then agreed to stop Wily especially they know that Wily is using the energy to create his robot masters out of this source. Mostly the same gameplay some as the predecessors, just like in Mega Man 7 where you can collect bolts in different stages and exchange them at the shop to get some useful items or have upgrades, a great deal of improvement is Mega Man can upgrade his charged shot and fire different kinds of projectiles. Since this game is played with a controller that has a lot of buttons to press, the feature of changing weapons without going to the weapon select screen. In addition to that, while equipped with a weapon from a robot master, he can still use his regular buster and fire normal or charged shots. At the starting stage of this game, there’s an area where you could go underground and where water was involved, this is the only game that you can make Mega Man swim. Unfortunately, he can’t fuse with Rush in this game, but on the brighter side, you can use rush as a motorcycle where you can also shoot and makes you invulnerable. Superb! I was impressed and showed my gratitude when I wrote the Mega Man 7 blog, just how I said that the graphics are cooler when Mega Man had adapted to the SNES console and even better in PlayStation console. I liked how there are very good improvements to this game like the voice of Mega Man especially after firing the charged shot he shouts “power shot!” sounds corny, but I was young when I started playing this game and it sounded cool to me. The utilization of weapons is something you should notice, like doing a high jump with the mega ball and reach higher platforms and collect bolts. I must say it would have been cooler to see another kind of fused Mega and Rush armor, it was one of the highlights of the series. Here is me playing Mega Man 8, beating Clown Man’s stage.